Massachusetts and Rhode Island are home to the largest concentration of Portuguese people in America. It may be the common history of fishing and whaling that created this phenomena but one thing is for sure, the South Coast area of Massachusetts and Providence Rhode Island is also home to one of the greatest Portuguese festivals in America, the Day of Portugal. 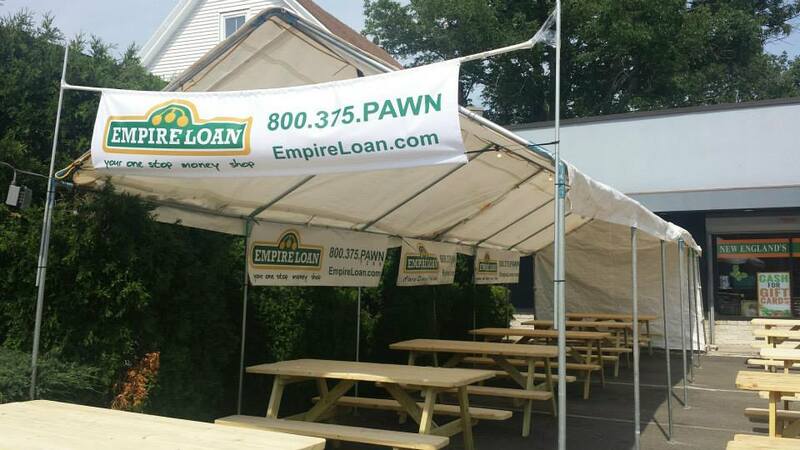 Empire Loan’s New Bedford Pawn Shop location is fortunate to be located in the middle of this tremendous festival that attracts as many as 100,000 people every year! 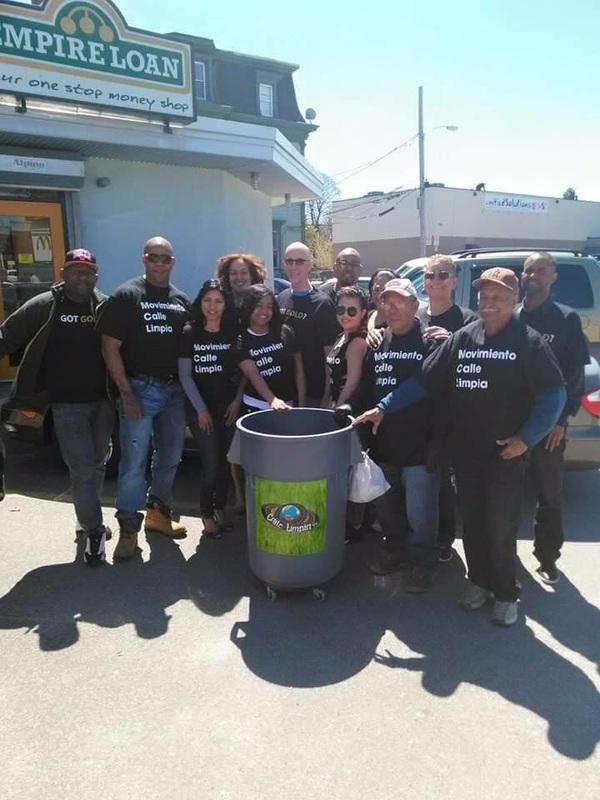 In 2015, Empire Loan worked with the Day of Portugal Festival committee to create a new centerpiece that provided something for the whole family and the community to enjoy. 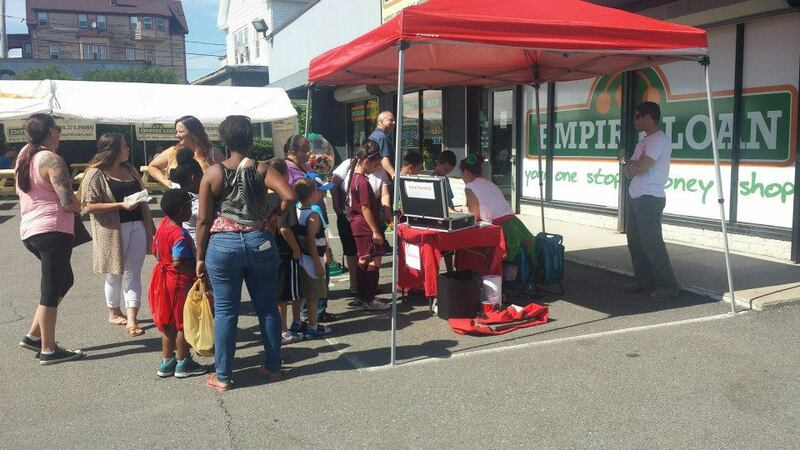 Utilizing the space in front of and surrounding the store, Empire Loan created a family friendly picnic area, free Portuguese themed face painting for the kids, an artisan and travel and tourism area that promoted Portuguese culture and vacations. Empire Loan provided 15 picnic tables in a partly tented area that allowed attendees to take a seat with food from some of the many vendors allowing them to just sit, relax and enjoy the festivities. Whether it was Portuguese specialties or fun festival foods, the well-lit area was a welcome break from the crowds. In the same area, Empire Loan brought in face painters who created a menu of Portuguese themed artwork that included the Portuguese flag, soccer balls, Princess crowns and other pieces that were done free of charge for all the kids in attendance. This entirely free, family friendly offering was very well received and appreciated. Empire Loan also provided a huge exhibit space to a group of Portuguese artisans that allowed them to display Portuguese arts and crafts as well as information on travel and commerce in Portugal. Attendees were able to meet the artisans and representatives who were on hand to promote Portuguese culture and talk about all aspects of life in the Azores. To top it all off WJFD 97.3FM was broadcasting live from the Empire Loan store and keeping the crowds happy and entertained throughout the weekend. WJFD has been New England’s 50,000 watt voice of the Portuguese community for over 60 years and has been the centerpiece of the Day of Portugal Festival since its inception. 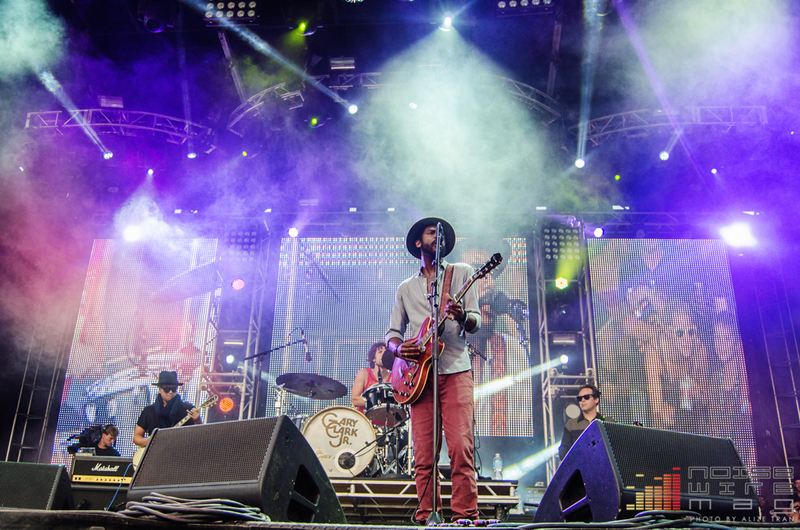 The Day of Portugal Festival 2015 was spectacular and Empire Loan looks to make 2016 even better! 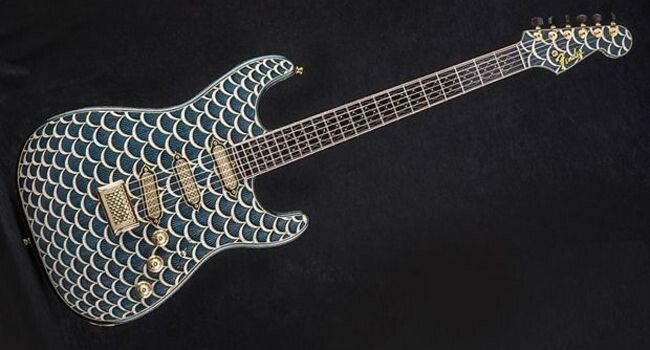 There are guitars and then there are GUITARS! 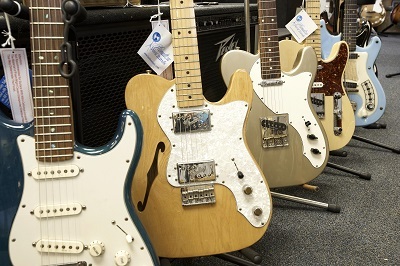 New England Pawn shops like Empire Loan are known for being a great place to pick up anything from an entry level student model guitar to a high end classic guitar with incredible collector value. You never know what may turn up at a Massachusetts or Rhode Island pawn shop. 1. World’s most expensive guitar: Fender created a one of a kind, diamond encrusted guitar worth over a million dollars. This custom made guitar is so special, if you get to hold it, they don’t want you to play it. Then again, if you can afford to own something like this, you can probably afford to have someone play it for you. 2. 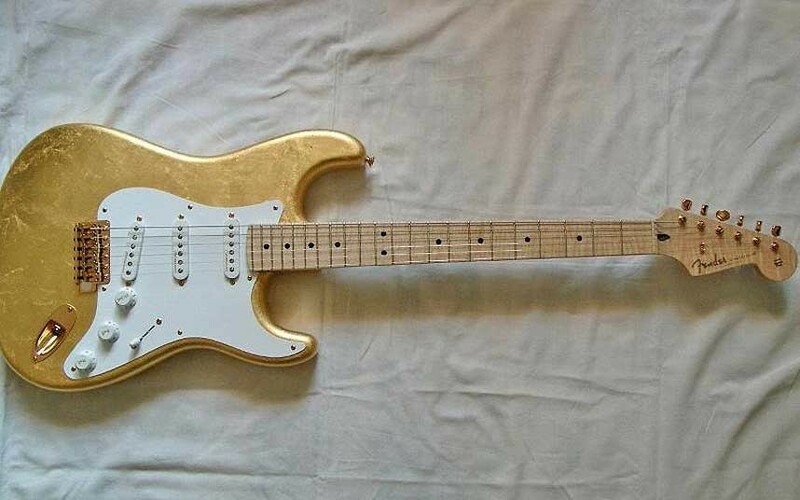 In 1996, Eric Clapton ordered a gold plated guitar that was valued at nearly a half million dollars. One can only imagine what it would cost or weigh if it was solid gold! 3. 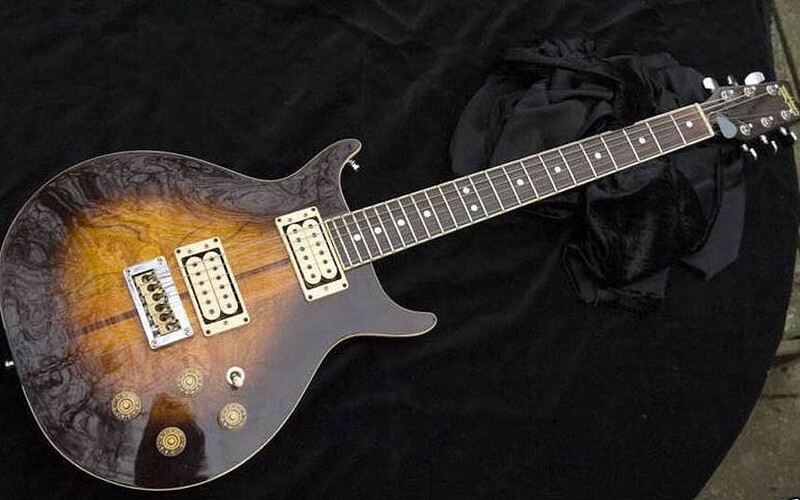 The late Bob Marley had a custom made Washburn 22 series Hawk that had an estimated value of $1 to $2 million dollars and is classified as a national asset by the Jamaican government and was one of only seven guitars owned by the legend himself. 4. The 1968 Fender Stratocaster allegedly played by Jimi Hendrix at Woodstock was bought by Microsoft’s Paul Allen for $2 million dollars in 1998. This is not one he is likely to set on fire. 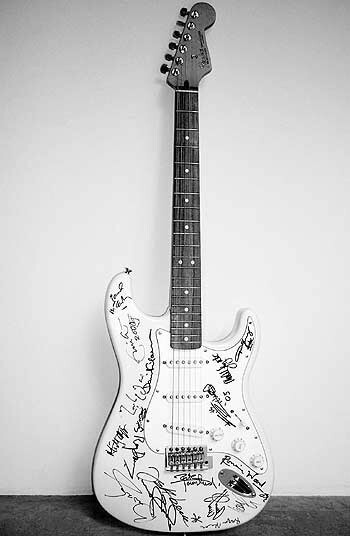 5, In 2005, a special autographed guitar was created by Fender to help raise money to support the victims of the tsunami. It was autographed by Mick Jagger, Keith Richards, Eric Clapton, Jimmy Page, Jeff Beck, Pete Townsend, Mark Knopfler and many others. The guitar sold at an auction in Qatar for $2.7 million dollars! While you may not find some of the world’s most expensive guitars at Empire Loan’s 8 locations, you can also try Empire Guitars, their exclusive guitar shop for everybody from the Novice to the legends. This weekend is Father’s day and you’re running out of time, and you don’t want to spend a ton of money to get dad a gift. What should you do? Stop into MA & RI Pawn Shops like Empire Loan and get him something he will enjoy. Dad always wanted to be a rock star and what better way to get him started than to check out the great selection of guitars they have out for sale. Acoustic guitars are the classic go-to guitar that anybody will enjoy playing on. No amps or electricity are necessary (though there is such a thing as an “Acoustic Electric”) to sit around the house and play with, take it on the road, or even just to the back deck to serenade the neighbors. If dad is a real Rock God, get him a funky electric so he can display his Jimi Hendrix like talent. Either way, stores like Empire Loan have a huge selection of guitars starting at under $50! Tools! Tools! Tools! Dad’s just love getting tools. These are toys for grownups, and you won’t find a better price than at a pawn shop. Circular saws, drills, wrench sets, pneumatic nail guns, just about any too you can imagine could await you inside a pawn shop. Recently Empire Loan had Satellite locators for dad to install his own satellite TV. Whatever tool you’re looking for, you can find it at a pawn shop! Gold Jewelry: When you gave dad the macaroni necklace to wear to work when you were a kid, he wore it with pride. Now that you’re older, it’s time to pay dad back with a gold chain or ring. A chain with a pendant chosen by you is something he will treasure forever. The prices for gold & diamond jewelry at Pawn Shops like Empire Loan are a fraction of what you’d pay at a jewelry store for the same quality, and the items themselves are truly unique. Father’s day is this Sunday! Take a quick trip to one of Empire Loan’s 8 locations in Boston, Providence, New Bedford, Worcester, Stoughton, Lowell and Lynn will save the day. Do it for dad!